This years NICIE annual seminar was hosted at Lagan College in celebration of their 35th anniversary. The Past, Present and Future of integrated education was discussed at Friday’s seminar. Guest speakers Cecil Linehan & Anne Odling-Smee, founding parents of Lagan College, gave a meaningful insight into the establishment of the first integrated College. 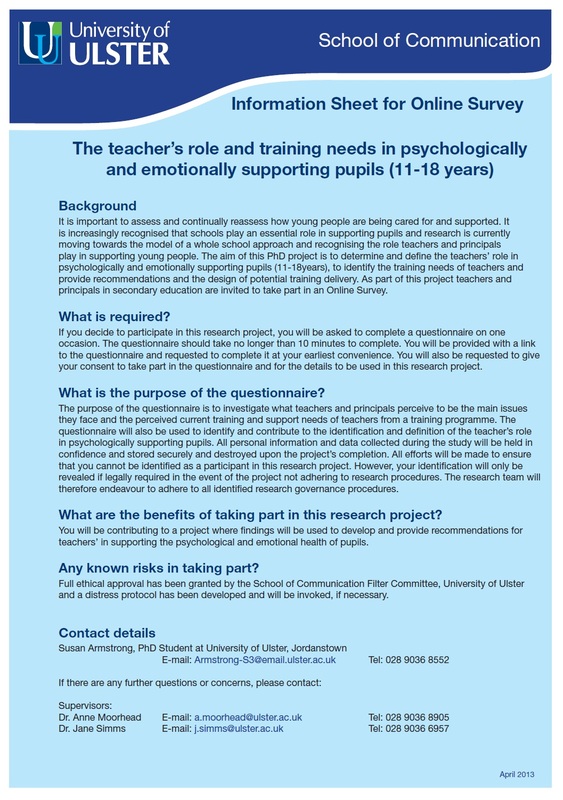 The University of Ulster is conducting a research project into how teachers support and help young people to develop. 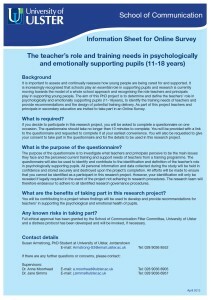 From this, they hope to determine how teachers can improve upon this and what training they may need. It’s an online questionnaire, which should take no longer than ten minutes to complete. The Northern Ireland Council for Integrated Education welcomes the opportunity to contribute to the inquiry into shared and integrated education. At the outset we remind the committee of the unequivocal declaration given to integrated education in the Education Reform Order (NI) 1989 and the Good Friday Agreement 1998, both of which require that it is for the government to ‘encourage and facilitate the development of integrated education’. It is important also to note that the Good Friday Agreement was supported by over 75% of the population in its entirety and although many difficult and controversial elements involving change were contained within, and despite later attempts by dissident voices to ‘cherry-pick’ at the agreement, it remains intact today, a basis on which to build a more equal, more peaceful and more forward looking Northern Ireland. Read our whole submission at the link below. The Committee for Education undertook an Inquiry into Shared and Integrated Education. Report to the Assembly on its findings and recommendations by Spring 2015.